Manchester United legend Rio Ferdinand is seriously pumped for the club getting back in action in the Champions League tonight. Ferdinand’s old club have what looks an easy game on paper against Young Boys, and admits he can’t see United getting beaten this evening. 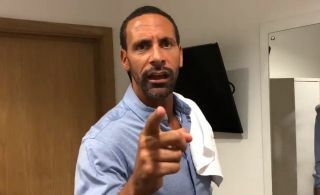 Speaking in a motivational video message tweeted from his official account, Ferdinand has urged United on to victory and highlighted Marcus Rashford, Romelu Lukaku and David de Gea as three key players in terms of getting a result. “Tonight, the big teams come out to play,” Ferdinand said. “Manchester United vs Young Boys. I don’t see us getting beat. “I see Marcus Rashford coming back into the team, Rashford please put them away, Bang! Roy of the Rovers stuff.